After 55 years Reunited ! Turning it Around – Motherhood. SO WHO IS GILLY ROOTS?……….In this blog I will try to tell my story…..How, after 55 years my family, both on my mum’s side (through Facebook) and on my dad’s side (through the Salvation Army via my pension) found me within 1 week of each other !!!! Almost unbelievable, but true! Why Post Modern Cinderella? Well it’s not that I don’t believe in happy ever after, but I don’t think it’s a given. My story has much of the Cinderella about it, my mother died when I was three and a half and my father took up with a wicked woman who bewitched him, they married while I was in hospital with acute appendicitis. I didn’t have the ugly stepsisters, but I did have a cruel stepbrother, who was nearly as evil as his mother. My stepmother tried to get me committed…..I was declared ‘normal’ but they declared her pathologically jealous of me and wouldn’t let me back into such a disturbed home, so she got her way and I was taken into care. You might say that my father wasn’t to blame, that he was just weak and feeble and that it was all her fault…….? I’ll begin at the beginning……. 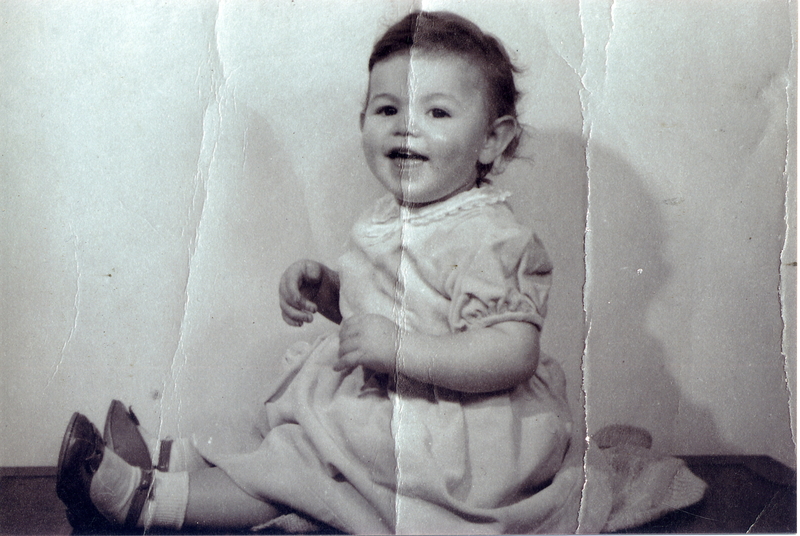 I was born Gillian Ann Boulton in Ash vale, Surrey, well strictly speaking the nearest maternity home (Farley House, Farnborough) on December 18th 1950. At this time my parents lived with my mum’s mum & dad – Nan Minnie May and Granddad Bill, their adopted son, Tony, who was actually their grandson, (but that’s another story) my mum’s sister; Lillian, her husband and their son – my cousin Mick….Oh and my Uncle Ron, my mum’s younger brother! Quite a crowded house, and just a two up and two down! Both my mum and my father worked, so mostly my nan Minnie May looked after me, but also my Auntie Lil, so l was around my cousins Mick and Tony quite a lot. They were both a bit older than me, (4 and 5 years respectively) but I seemed to have been excepted by them……..Possibly tolerated! Tragedy struck the family when my young mother died…..I was just three and half years old. My father carried on working, and l was cared for by my maternal grandmother and my Auntie Lil, my mum’s elder sister. Far too soon after my mum died, my father put an add in the papers….. ‘Lonely Widower’……! How sad ! And how disastrous! Audrey Rothery from County Durham took the bait, but the hunter became the hunted………….Be careful what you wish for!!!!!!! My father remarried and adopted Audrey’s son, while I was seriously ill in hospital, from hospital to convalescent home to secure children’s hostel to National Children’s Home, l was push from pillar to post and the trail of me ever fainter and my family never saw or heard of me again…………………..
Well…….Not until 55 years later!!!!! Mine is such a moral story….My father had the most dreadful life, cut off from his own blood and he lived the rest of his life in misery! l can’t get my head around how anyone can sacrifice their whole family for a women, and a bad women at that! l really don’t think a good person could do this? How could he give me up for such a women? A women who answered an ad?!! !…..Because of this his family never spoke to him ever again. As for her, the wicked stepmother, l feel that justice was never done, she was the sort of person who does terrible things and thinks nothing of it, l haven’t come to any satisfactory explanation as to how karma works in her case? Maybe it’s that no one has anything good to say of her and l don’t think she ever achieved anything, least of all any happiness. Hers and my father’s legacy is one of bitter disappointment and l will write her part in it all……And it won’t be PRETTY….!!! For me, with all my disadvantaged childhood, l was, and still am a very happy person ……I hope this is my legacy. Gilly Roots…Crumplin…The South…The Surrey Hills. The Rebellious Years……Turning On !